One of the main attractions for audiences during the first two editions of the biennale was the Tent Village in Marseille. This installation, located beside the sea, will once again be the heart of the event. At this remarkable site, you will be able to see the Welsh artists NoFit State Circus who were such a smash hit during the 2015 edition alongside seven other French and international companies who will present their latest creations. 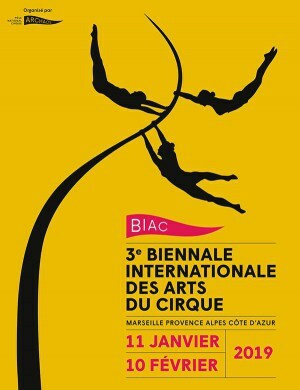 We have travelled far and wide to find new companies that are revolutionizing the circus arts so we can offer audiences a magical, poetical, and spectacular 2019 Biennale Internationale des Arts du Cirque. The festival will feature 272 performances of 65 different shows, including 30 world premieres.